Section 5 of the Drugs, Poisons and Controlled Substances Act 1981 (Vic) cannot be interpreted consistently with the presumption of innocence under section 25(1) of the Charter. to be incompatible with human rights. See here. to be incompatible with international human rights. See here. to be incompatible with international human rights under a domestic law. See here. by a court, to be incompatible with international human rights under a domestic law. See here. by a court authorised to make such a declaration , to be incompatible with international human rights under a domestic law. See here. Rather, it will be the first time that a court authorised to do so declares that an Australian law is incompatible with international human rights under a domestic non-equal-opportunity law. And, even then, such a declaration was nearly made over a decade ago (and it would have been much more consequential than this one.) Regardless, the court’s finding that DPCSA s5, Victoria’s unique and nasty ‘deemed possession’ provision, is incompatible with the right to be presumed innocent is both a statement of the bleeding obvious and a relief. Indeed, with the shameful exception of the Attorney-General, it’s also a finding that everyone agrees with, including (as it turns out) the prosecution. But what is much more surprising is the VCA’s finding that this shame could not be interpreted away. The real importance of Momcilovic isn’t its findings about either Charter s. 25(1) or DPCSA s5, but instead its complete reworking of two of the Charter’s core provisions: Charter s. 7(2) (on reasonable limits) and Charter s. 32 (on interpretation.) 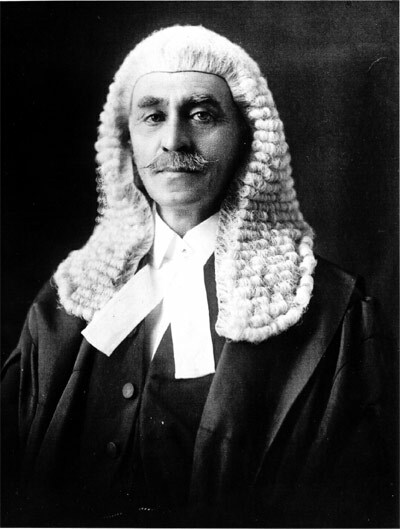 Until now, the vast majority of decisions, writings and advocacy about the Charter have argued furiously that these two provisions act in combination so that all Victorian statutory provisions are liable to be manipulated by their readers to bring them into line with a test of reasonableness founded on international standards of rationality, proportionality and liberal democratic values. In other words, it’s been claimed that, since it came into operation on 1/1/8, the Charter has injected a legally obligatory human rights culture into the entire field of Victorian regulation. 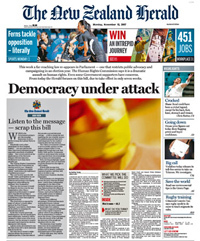 Doctrinal positions (and PR blather) to this effect about the Charter’s operative provisions have been repeatedly advocated in particular by the Attorney-General’s lawyers, VEOHRC and the human rights sector, and such an operation of the Charter has also been assumed by critics of such statutes. It’s a reading of the Charter that I have repeatedly criticised in this blog. (1)	Section 32(1) does not create a ‘special’ rule of interpretation, but rather forms part of the body of interpretive rules to be applied at the outset, in ascertaining the meaning of the provision in question. Step 1: Ascertain the meaning of the relevant provision by applying s 32(1) of the Charter in conjunction with common law principles of statutory interpretation and the Interpretation of Legislation Act 1984 (Vic). Step 2: Consider whether, so interpreted, the relevant provision breaches a human right protected by the Charter. Step 3: If so, apply s 7(2) of the Charter to determine whether the limit imposed on the right is justified. In the view we have taken, s 32(1) has the same status as (for example) s 35(a) of the Interpretation of Legislation Act 1984 (Vic). It is a statutory directive, obliging courts (and tribunals) to carry out their task of statutory interpretation in a particular way. It is part of the body of rules governing the interpretive task. Compliance with the s 32(1) obligation means exploring all ‘possible’ interpretations of the provision(s) in question, and adopting that interpretation which least infringes Charter rights. What is ‘possible’ is determined by the existing framework of interpretive rules, including of course the presumption against interference with rights. [O]ur conclusion that s 32(1) is not a ‘special’ rule of interpretation reinforces our view that justification becomes relevant only after the meaning of the challenged provision has been established… It is that the emphatic obligation which s 32(1) imposes – to interpret statutory provisions so far as possible compatibly with Charter rights – is directed at the promotion and protection of those rights as enacted in the Charter. We reject the possibility that Parliament is to be taken to have intended that s 32(1) was only to operate where necessary to avoid what would otherwise be an unjustified infringement of a right. 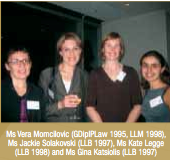 In Momcilovic, Court of Appeal President (and ex leader of Liberty Victoria) Chris Maxwell, David Ashley (a commercial lawyer who recently emerged as the only Victorian judge honest enough to admit that Peter Dupas can never get a fair trial in Victoria) and (ex-academic and law reform commisioner) Marcia Neave held that not only do Charter ss. 7(2) and 32 make no dramatic changes to Victoria’s legal system, but they don’t have anything to do with eachother. Charter s. 32, far from being an outsourcing of Parliament’s lawmaking role to anyone who reads a statute, is simply a tool for assisting those readers in understanding Parliament’s words and intent. And Charter s. 7(2), far from being a legally enforced new culture that envelops anyone who is affected by a Victorian statute, is instead just a tool for assessing (and not re-interpreting) laws by the same two bodies that are responsible for them in the first place: Parliament and the courts. It is an interpretation of the [Charter] depending on an implication which is formed on a vague, individual conception of the spirit of the compact, which is not the result of interpreting any specific language to be quoted, nor referable to any recognized principle…., and which, when started, is rebuttable by an intention of exclusion equally not referable to any language of the instrument or acknowledged… principle, but arrived at by the Court on the opinions of Judges as to hopes and expectations respecting vague external conditions. This method of interpretation cannot, we think, provide any secure foundation for… State action, and must inevitably lead—and in fact has already led—to divergencies and inconsistencies more and more pronounced as the decisions accumulate…. But we conceive that [overseas] authorities, however illustrious the tribunals may be, are not a secure basis on which to build fundamentally with respect to our own [Charter]. While in secondary and subsidiary matters they may, and sometimes do, afford considerable light and assistance, they cannot, for reasons we are about to state, be recognized as standards whereby to measure the respective rights of [Victorians] and [Victoria] under the [Charter]. No, that isn’t from Momcilovic, but a much earlier landmark case about another major statute that Australia received from overseas. Momcilovic is the Charter’s Engineer’s case. What the Victorian Court of Appeal has held in Momcilovic is exactly what this blog has being saying all along: that the Charter is just a statute and, in particular, a bunch of (often) disparate provisions. Neither its pompous title, nor its illustrious forebears, nor its often opaque drafting change that. The Charter’s meaning is not to be read subject to the murky political imperatives that led to its development, drafting and enactment. It isn’t to be read in light of the views or hopes of its founding mums and dads, no matter what they say. Its provisions don’t combine mystically to achieve greater goals. Not unless those provisions themselves say so. Courts should just read the provisions the way they read any statute: by reading the words, pondering their context and looking through the pertinent extrinsic materials. So, what does this all mean for the Charter’s various stakeholders? I’ll discuss them in turn.